Today is the 52nd edition of our periodic guest post series called 10 Questions. We have a list of 17 questions we pose to fellow financial bloggers, and they are free to pick and choose 10 or answer all of them. Let us know if you would like to be featured in a future edition of 10 Questions. Today we hear from Pauline Paquin, who has one of the most interesting stories of all that I have read in the personal finance world. 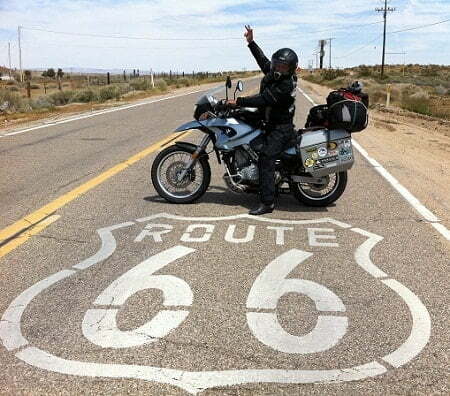 She was born and raised in France, quit her last full time job in 2010 to travel wherever she chooses – including two 6-month motorcycle trips! Savvy Scot where I talk about general personal finance from a UK perspective. I am also a freelance writer for a few more sites. I made about $8,000 online last month and $60-70k a year the previous two years. My life is not the typical 9-5 life so I think I offer a refreshing perspective on money, goals and simple living. 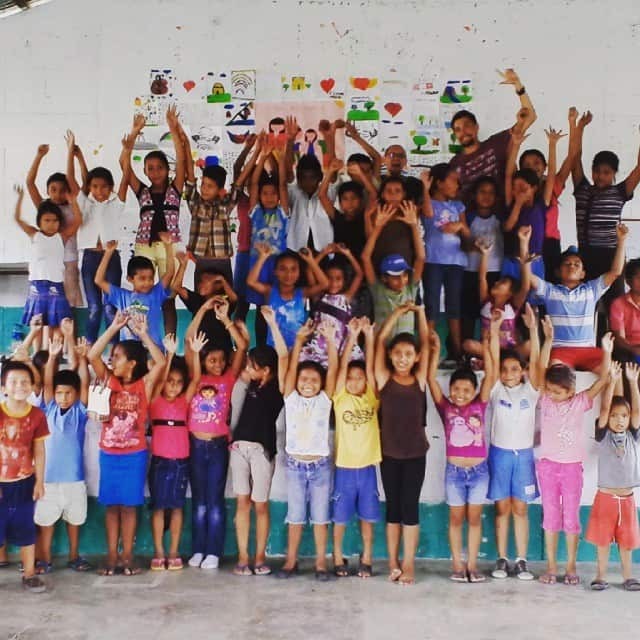 I reach over 200 kids by providing free computer classes, English classes, scholarships to high school, uniforms, free textbooks for middle school, and school supplies. I have always enjoyed reading and writing. At school, I found out even if I hadn’t studied hard, writing the assignment well would give me a good enough grade. I have written over 6,000 travel posts for several websites, until I switched to personal finance and launched my own blog in 2012. 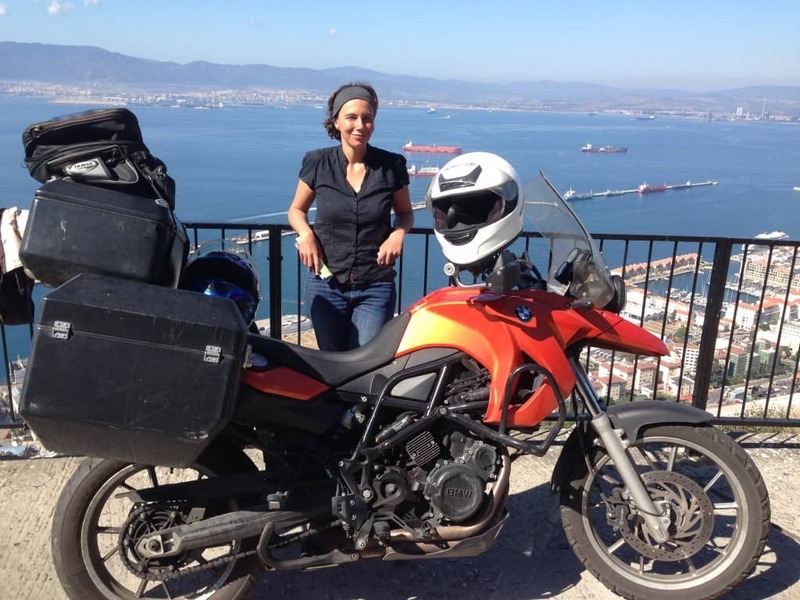 I actually left my day job at 29, and have since then lived in Morocco and Guatemala, and gone on multiple 6 months trips on a motorcycle. Life in Guatemala is cheap enough to allow me to live comfortably on my online income, without having to touch my nest egg. While my investments could also largely cover my lifestyle, I am hoping to let them grow to finance my old days, in case I have high medical bills or need assisted living. I just invest in low cost index funds and trade a bit of forex, but what makes my financial life easy are automated payments. My tenants deposit their rent automatically, and the bills and mortgage get paid, while I can be at the end of the world without an internet connection. I love the ease of it. I try to avoid conflict, so if my friends come to me asking for money tips, I tell them what I think they should do, but don’t follow up or even expect them to do it. If they want to go out, I try to pay for what I actually eat and drink instead of splitting the bill evenly, or join them after dinner. I don’t mind what people do with their money as long as they don’t whine about being broke. My closest friends have similar money values. I grew up middle class, but my dad lost his job when I was a teen and made it look like more than it really was. As a result I always tried to save for a rainy day. Even if money was tight at some point, my parents always found enough for us kids to have a good education, extra curricular activities, and nice holidays. We didn’t have brand clothes or gadgets, we ate basic food… that taught me about priorities and how you should spend your money on what is important to you. My parents gave me a small allowance until I was 12 or so. They always asked what I wanted to do with it. Then at 12 they sent me to babysit my cousins or tutor younger kids. They would give me money for a basic item, and if I wanted a brand or a better one, I had to pay the difference. Every sentence about money was starting with “when you’re 18 and living on your own…” as a result, I left the house at 17 and paid my way through college. I graduated with $25,000 in savings and traveled the world for a year afterwards. I like every kind of beer, but have a preference for lagers. In Guatemala, my favorite beer is called Gallo. Internationally, I enjoy Heineken and Carlsberg. 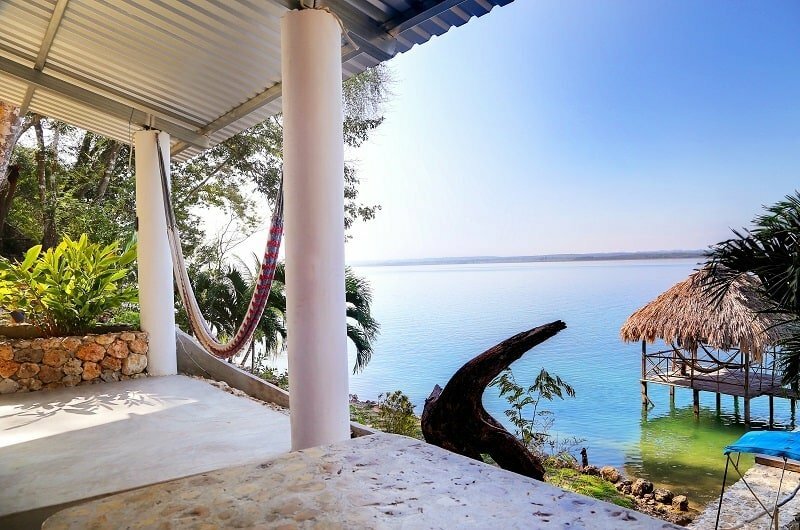 I have my own private beach in Guatemala, on a crystal clear lake that is warm enough to swim all year round. I generally wake up around 530am, go for a run, then have a swim in the lake. I also love to hike when I am on holiday, and cycle while in town. Excellent 10 questions! Thanks Mr. 1500 and Pauline. We spent some time in Pauline’s part of the world (Lake Atitlan, Guatemala) a few years ago, and it is a lovely place with very low cost of living. We did the sunrise hike up la Nariz del Indio and it was one of the most beautiful and surreal moments I’ve ever experienced. A morning swim in that place would be an amazing way to start the day. Hey guys, I’m in the North on lake Petén Itzá which is much warmer for swims than Atitlán! (and cleaner). We don’t have the amazing volcanoes though. Nice to meet you Pauline. What an impressive life you’ve carved out for yourself. Guatemala looks beautiful. I need to get out there. Biglaw Investor recently posted…State Capital Gains Taxes: Where Should You Sell? Let me know if you are around! 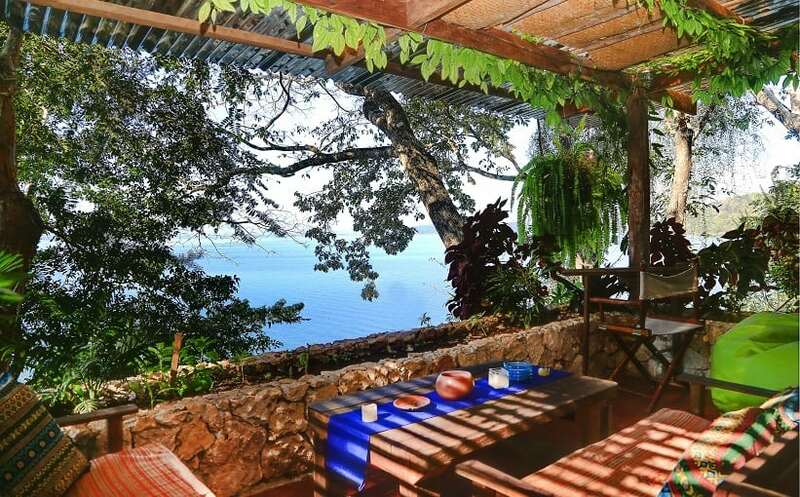 Or need to plan your trip 🙂 Guatemala is a fantastic holiday destinations, I could go on for hours about it. I could see taking you up on that offer! Would love to get away from NYC for a week in Guatemala with a local guide. Interesting story, thanks for sharing Pauline. I look forward to checking out your sites and will be interested to hear your take on the Brexit! The Green Swan recently posted…I Need a New TV! Help! Wow, what a great story, Pauline! 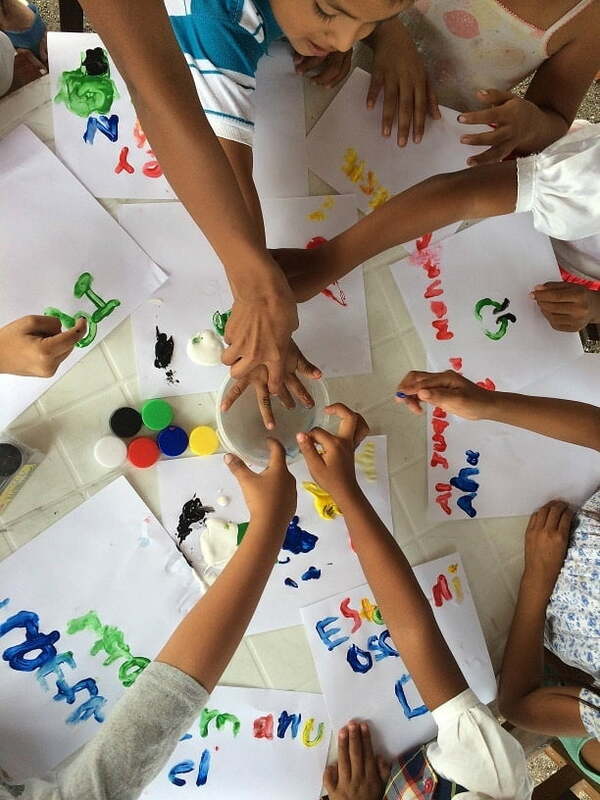 So inspiring to see the great work you’re doing with kids in Guatemala. 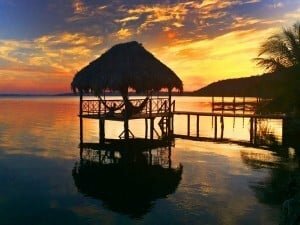 We’ve actually looked at Guatemala as a potential retirement destination but haven’t visited yet. Awesome, thanks for the offer! We may take you up on that. Is it pretty humid where you are? You’ve got life figured out. Congrats! And thank you for sharing your story. I love reading about people successfully living a life less ordinary. Ha thanks PoF, I’ve seen that cheap Gallo wine, I believe Gallo beer is called Famosa in the US and Mexico for that reason. Wow. What an awesome, inspiring story. I love the fact that you donate part of earnings to help the local kids out. That is something I aspire to. I am also completely jealous of your morning routine. I would love to go for a swim in a beautiful lake every morning. Excellent post, thanks Pauline and Mr 1500 days! Pauline, with your story and your pictures, you’re definitely selling the Financial Independence concept! I am impressed with how you seem to have figured everything out, the bold move to live abroad, be self sufficient with your own business and helping your local communities. Looking forward to go check out your blog(s) and thanks for sharing your story! TheMoneyMine recently posted…Money Is So Cheap, Has the World Gone Crazy? Thanks Nick, yes that’s weird but I always sort of knew the way I wanted to go, that made me look like a weirdo in college and early career but now that I’ve left the cubicle people are starting to see why I was doing all that for! Ha it looks like more than it really is. I’ve pretty much got the blogs on auto pilot thanks to my assistant, and I have been lazy with writing lately. Just spoiled I guess, when you don’t have to do something it’s easy to slip and be lazy! Ah, still impressive nonetheless. You’ve put in the work to position the 3 blogs to success. I’m a fellow subscriber now! This sounds like a really pleasant life to lead. Well done, on making it for yourself. Thanks ZJ! Life is pretty good. Such a neat lifestyle. I love how the internet shows these possibilities in near real time. Thanks Chris! I like to share mostly to show people it doesn’t take millions to live well. It’s been very rewarding and I would recommend volunteering or having a project in ER, it can be a great way to connect with people.